Noun. 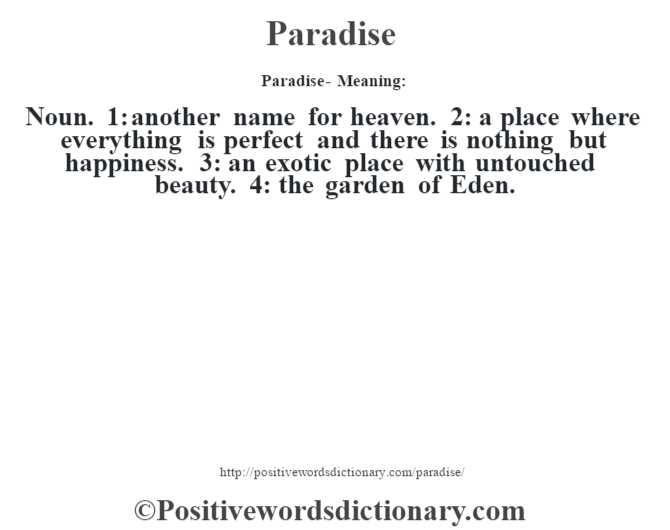 1: another name for heaven. 2: a place where everything is perfect and there is nothing but happiness. 3: an exotic place with untouched beauty. 4: the garden of Eden.